Camera button inside a NEW WAYPOINT menu item allows to take photos overlayed with location, date and notes. "Waypoint images can be stamped with location, date, note, shared separately or saved into photo library. 'Select All' option when selecting multiple waypoints. "Tap on a waypoint on a map will show a small image preview if waypoint has an image attached. Tap on an image to open its full screen preview with options to annotate and add notes. GARMIN GLO and Bad-Elf PRO – Which one might be the best for your iPod or wifi iPad? Issue with iPhone/iPad GPS? Lets fix it! Car's speedometer - does it tell you the true speed? iPhone and iPad Speedometer - version 1.5.1 - What's new? 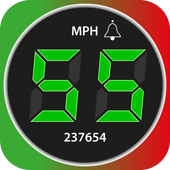 Speedometer - Can't stop myself from sharing this! iOS7 design + longer detailed tracks and WAYPOINTS! Compass 55 app. Land navigation and a lot more! Photos with location, direction & note. iphoneipodapps.net - SO MUCH MORE THAN A VERY ACCURATE SPEEDO!